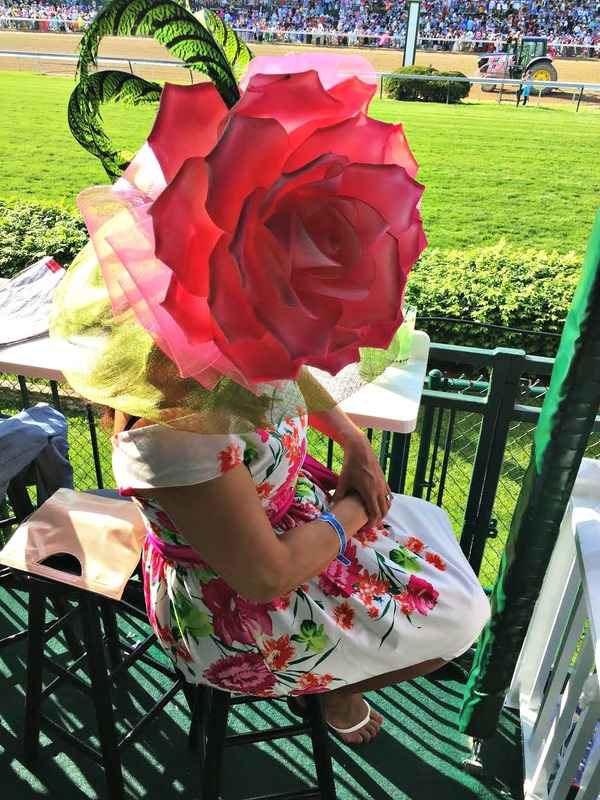 And now, for the big event, the 142nd Kentucky Derby – otherwise known as “The Most Exciting Two Minutes in Sports” or “The Run for the Roses” for the blanket of roses that is draped over the winner. 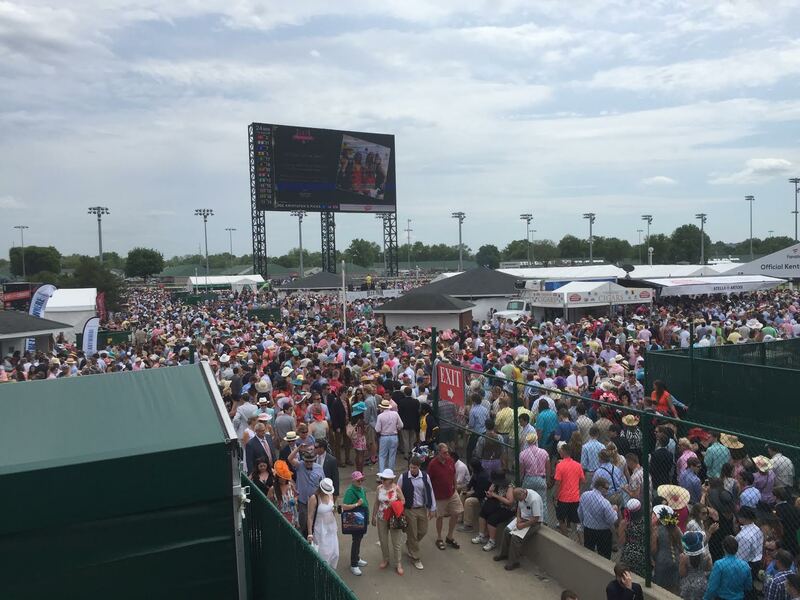 Nearly 170,000 people attended this year’s Kentucky Derby. Derby day is always the first Saturday in May and this year’s event took place on Saturday, May 7th with a $2 million guaranteed purse. 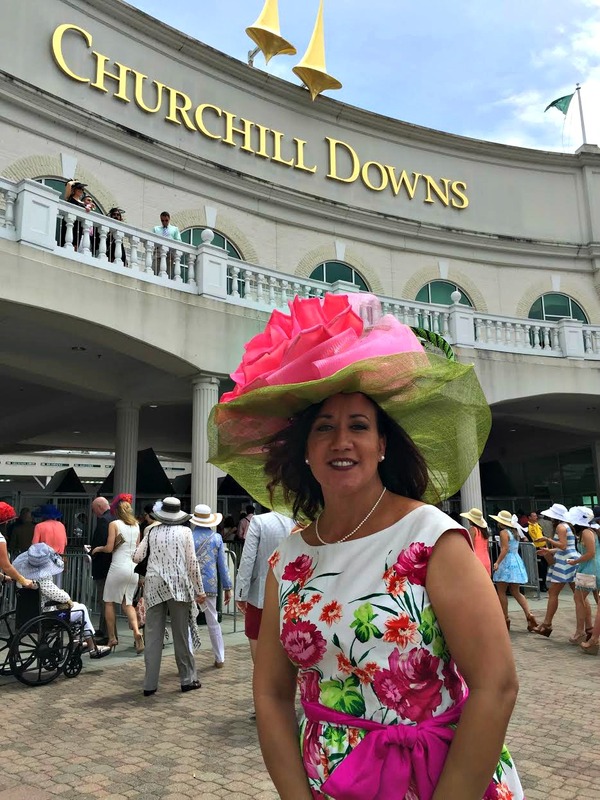 It was a great day of people watching with all of the unique styles of hats, fascinators, dresses and suits. Even a few of the men got whole-heartedly into the spirit and sported outrageous hats. I took my chances and walked the infamous infield, where the real action is. The best way to describe the infield is that the infield is to Derby as Bourbon Street is to Mardi Gras. Get the picture? The cost of entry is $50 and about 70,000 attendees come to party and actually never see the actual races taking place all day long. The weather was fantastic up until the national anthem, sung by the country trio Lady Antebellum, as that was when the heavens opened with a torrential downpour soaking most of the people in the infield and anyone who couldn’t find cover. Luckily, at that time, we were in the museum shop looking for souvenirs so we missed the rain entirely. However, we were hoping Lady Antebellum would come back out and give the National Anthem another go, but sadly that did not happen as the race must go on. Of course, no Derby would be complete without tasting a Mint Julep – in fact, it may be a requirement! Mint Juleps were served in abundance so to save time, the Derby bartenders opted for a Mint Julep mixer vs. hand crushing the mint with sugar and water. They were still pretty tasty! Each year, additional suites are built and attached to the existing structure to accommodate the large audience and sponsors of the Derby. Our suite, sponsored by 14 Hands Wine, was so close to the race track (front row – just behind the hedges), that each time a race was taking place and the competing horses sped by, our suite would literally shake from the thunderous vibration of the horse’s weight pounding on the track — which made it even more exciting. Although the suite I was in was wonderful, I will admit that at least once or twice I looked longingly across the way at Millionaires’ Row and the Skye Terrace Dining Rooms. One could only imagine which Royals, celebrities, and athletes were in attendance and if they were winning their bets. Millionaires Rowe and Sky Terrace are exclusive, interior dining rooms located on the 4th, 5th, and 6th levels of the Clubhouse. Josh Duhamel LOVED my hat! 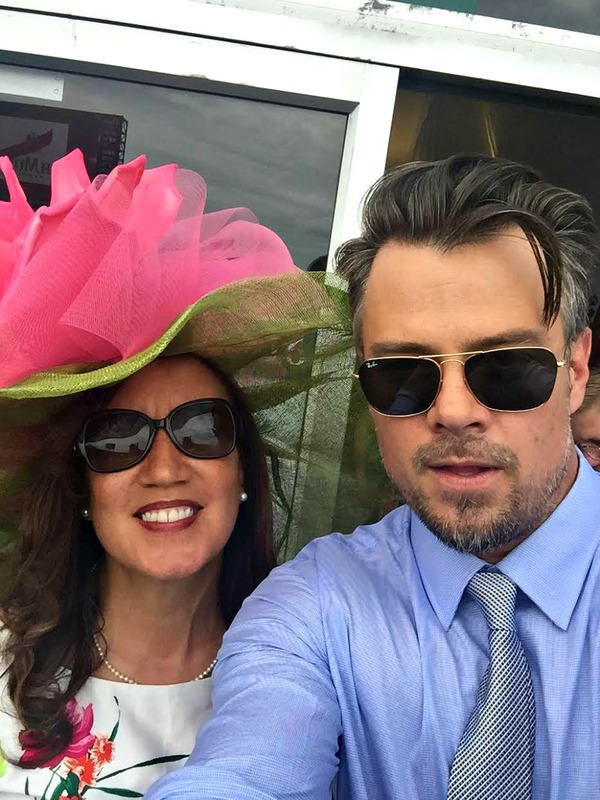 One of my favorite experiences from the Derby was getting a picture with actor Josh Duhamel, who just happened to be in the Mumm Champagne suite next door. The G.H. Mumm Cordon Rouge is the Official Champagne of Kentucky Derby. What a nice guy to meet and greet his fans with kindness and patience. I had to ask him to take the selfie as I was too excited to take it myself! 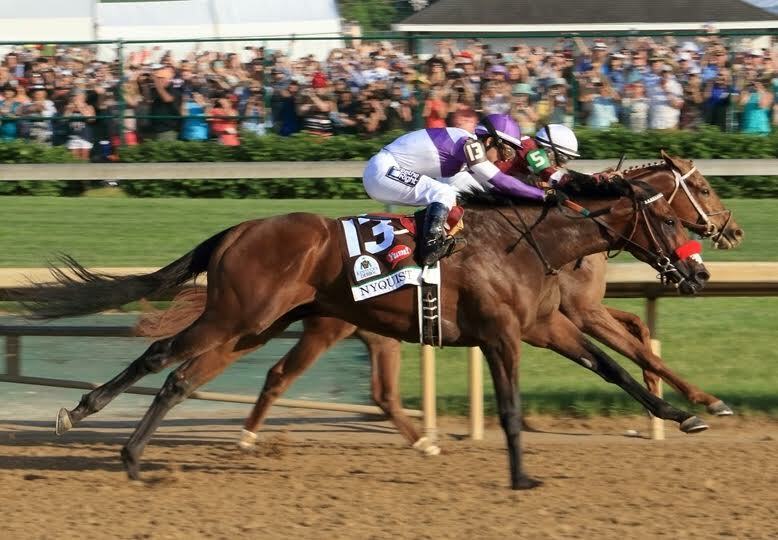 Yes, the Derby is all about fashion, food, fantastic wines, and bourbon – – but let’s not forget the actual horse races. There were several races throughout the day, but everyone was anticipating the championship race. The official Kentucky winners were (#13) Nyquist 1st place, (#11) Exaggerator 2nd place, and (#5) Gunrunner 3rd place. 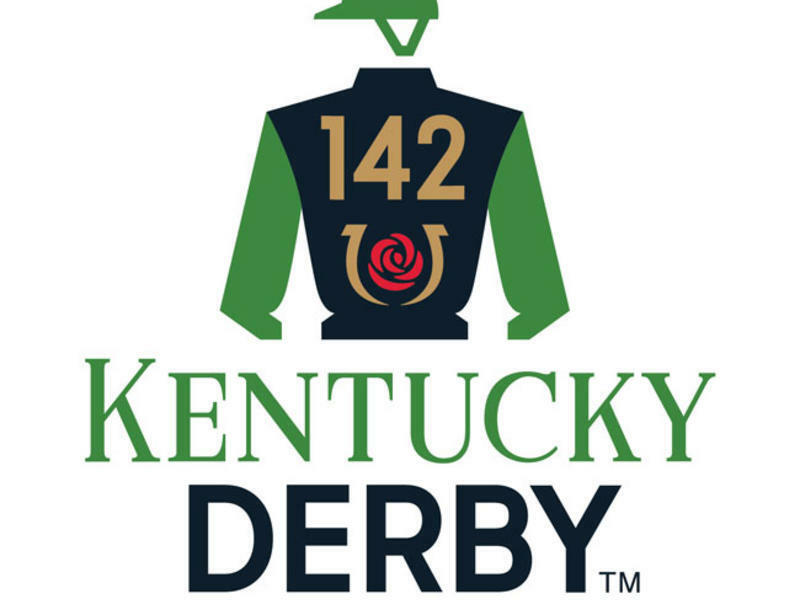 To quote the great Irvin S. Cobb, a great author and born Kentuckian, “Until you’ve been to Kentucky and with your own eyes behold the Kentucky Derby, you ain’t never been nowhere and you ain’t never seen nothing.” I can now cross the Derby off my bucket list, but can only hope to return again. To learn more about 14 Hands, can visit them on Facebook | Twitter | Youtube so you never miss the latest updates! 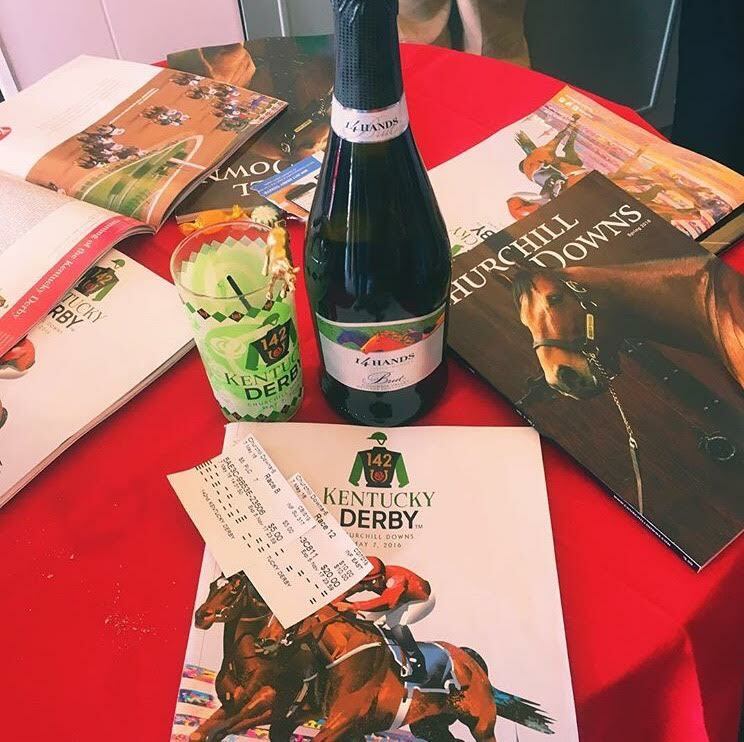 14 Hands Winery graciously hosted us as their guest at the 2016 Kentucky Derby. This once in a lifetime experience was absolutely amazing! We are so thankful. This article originally appeared in Divine Lifestyle Blog on May 27, 2016.